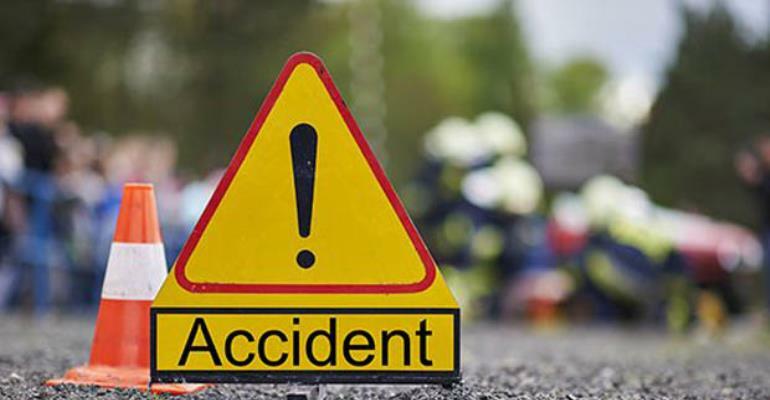 Two persons died on the spot on Saturday 6th April in a fatal accident on the Takoradi-Agona Nkwanta road in the Western Region. DSP Olivia Ewurabena Adiku, the Regional Police Public Relations Officer, confirmed the accident and said it happened at about 4:30pm. A driver she named as Alfred Kwame Quayson was in charge of a Man Diesel semi trailer truck with registration number WR 1044-14 moving from Takoradi to Tarkwa, while another driver called Alfred Ayensu was also in charge of a Toyota Hiace bus with registration number WR 1658-16 with 14 passengers on board. “The vehicle was moving from Agona Nkwanta to Takoradi. On reaching a section of the road near Ankyernyin junction on the Agona Nkwanta – Takoradi road, Alfred Quayson overtook a vehicle in front of him. In the process, he ran into a Hyundai bus. Two persons – a male and female – died on the spot,” she said. The injured, including four women and three men, were rushed to the Kwesimintsim Hospital and are receiving treatment. A man and a woman who also got injured are also on admission at the Effia Nkwanta Hospital. The bodies of the deceased were deposited at the same hospital’s morgue pending autopsy.